As I mentioned before, Michael of the Love People was created by Mr. D.F. French back in 1992. I am trying to stay true to his original vision. Story-wise, only three minutes have passed since we last saw Michael and Scuzzball, but some terrible carnage has taken place in those three minutes. 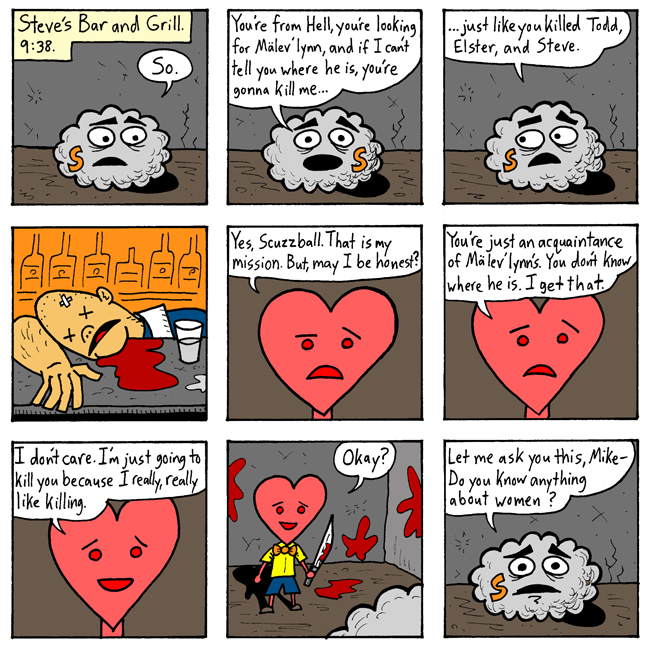 I had really had intended for Steve the bartender to become a recurring character but sometimes you can't help where the story leads you. Sorry, Steve the bartender! Next Week: So why exactly is Scuzzball asking about women? The answer will amaze you!